Google's Matt Cutts tweeted over the weekend that in 2011, Google's search quality team will look at cloaking techniques and possibly take action on techniques they have not focused on in the past. 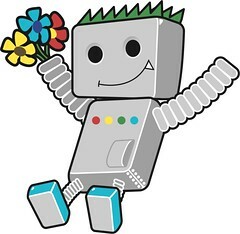 Google will more at cloaking in Q1 2011. Not just page content matters; avoid different headers/redirects to Googlebot instead of users. So Google admits here on some level they were taking action on cloaking page content, but now they are also going to pay attention to aspects users and bots may not 'see' on a page, such as the meta headers and the redirects. Tedster said in a WebmasterWorld thread, "I'm hoping that a "false positives" period after any particular change isn't too extreme. At any rate, if I do see any dramatic ranking drops this coming year, high on my checklist will be "Google suspects cloaking"." But like most, I also thought Google did target the different headers/redirects, maybe they didn't? There is a ton of confusion about what Matt meant in his 136 character tweet. Many SEOs and Webmasters would really love to hear more detail, preferably in a blog post. Most are worried about 'false positives' and collateral damage.